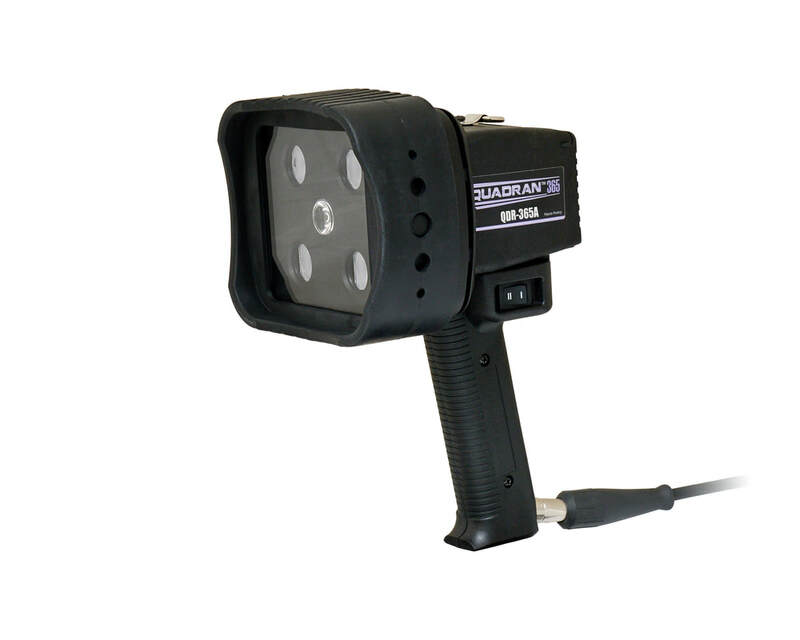 QUADRAN™ 365 SERIES lamps are versatile, broad-beam NDT inspection lamps that are handheld, or can be easily mounted in place for stationary in-line inspections. These lamps feature four powerful UV-A (365 nm) LEDs plus a convenient white light LED to quickly switch between fluorescent inspection and flaw location. For increased flexibility, a unique dual, high/low white light output control.